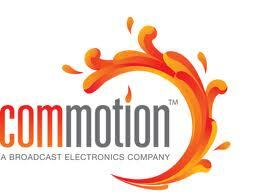 Commotion™ provides an end-to-end solution with tools to monitor, manage, and monetize social interactions with your listeners. VHF and UHF, low, medium and high power Transmitters, analogue and digital broadcasting, and synchronization systems. Manufacturer of radio consoles and audio networking systems. Digital control surfaces, digital audio networks, and AOIP automation audio and control interfaces for the broadcast industry. Arrakis Systems is a leading manufacturer of electronic and furniture products for a variety of professional audio industries: Radio, TV, Recording, Commercial sound, and Consumer sound. The Camera Turret Company is dedicated to producing the best products at the best prices. See our Pan/Tilt Heads, Camera Cranes, and Lens Controls .